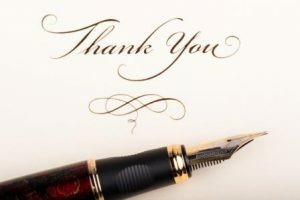 Have you ever been working really hard, feeling frustrated at a task and turned to a hand-written thank you note for support and encouragement? Do you keep an email folder with notes of appreciation? Do you wish you had these things? I’m a very unsentimental person who throws out birthday and holiday cards the day after receiving them, but I have an e-mail folder full of positive comments people have written about me. I’ve used it to give me confidence and to help me write my LinkedIn profile. I’ve also reflected on some as a challenge to keep up the type of performance that inspired someone to send me a note. You see from the image above that I’m selective with praise. I assume that people know if they’ve done a good job and they don’t need me to tell them. I wish I was better at giving praise and more frequent with it. This can be difficult for the CD style. I have to remind myself that a simple email matters. Just a quick note of thanks. Saying “thank you for your help.” I have the power to make someone feel good, feel inspired, feel appreciated just by typing a few words. But what words? What would my teammates really love to read? Join me in thinking about what my colleagues might enjoy reading in a note or hearing from my lips. I will try to think not about what I’d want to hear, but what my colleagues would find meaningful. With D’s, I can be brief and focus on outcomes. These colleagues might appreciate it if you shared your note with their boss. They’re likely to value being offered more authority or more freedom as a reward for their hard work. Great presentation. I saw many heads nodding in agreement. Way to sell it. Your presence on our committee really made a difference in how much money we raised. I’ve written a recommendation on your LinkedIn page. Let me know if you want me to make any edits. Thanks for taking the time to really listen to my concerns. Can I give you my proposed solution summary Tuesday morning at 9? With the i-style I can try out the exclamation point and use more expressive language. They want to be appreciated as a person not just for their work. They might value a reward such as time off or a silly gift. They also like to be recognized publicly if that’s appropriate. Thank you for your commitment to this team and for supporting me as the newbie. I can’t imagine working without you. Who else would make me laugh? Thanks for suggesting our new “walk and talk” meetings. You’re right. They ARE energizing. The enthusiasm you showed for my promotion humbled me. You inspire me to be a better leader. Thank you so much. 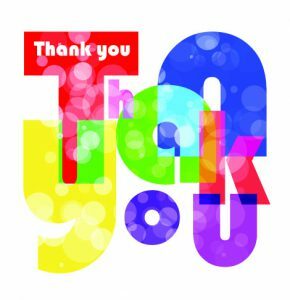 When thanking the S person, I know my appreciation needs to be sincere and heart-felt. I have to open myself up a bit more than I normally do, but I know that these colleagues won’t take advantage of my vulnerability. My note can be longer because they’ll read it all and appreciate the extra effort. It’s easy for me to overlook their consistently good performance and their quiet contributions. Thanks for helping me navigate the confusion of personalities and forms and policies that can overwhelm a new hire. I feel like I finally know what I’m doing now. I feel like I’m part of the team. I want you to know how much your dependability and commitment to this organization matters to me. I was really worried when I had to take so much time off, but you shouldered the extra work, making my life easier–not to mention the lives of our customers. I want you to know that I recognize how much you did. This meant so much to me. Can I treat you to lunch tomorrow? How can I thank you for dealing with all the edits and changes I asked you to make over the last month. I know that the final outcome is much better and our clients will love the end result. This would not have been possible without you struggling through all these changes with me. I’m so grateful for your patience and for your friendship. You make this company a better place. I noticed how you helped Piers with the year-end reports. He shared how you walked him through the style guide and introduced him to Sarah. I really appreciate you stepping outside your area of responsibility to help a co-worker on a priority project. I apologize for not including your name in the credits. I’ve made a note in my copy and the file copy. Please add this work to your accomplishments on your performance review form. I have an easier time thanking a C. I can say “that works much better” or “hmm, let’s check on that” or “you’ve got that covered, right?” I don’t have to display any depth of feeling, but rather offer a simple acknowledgement of their argument or expertise. I know the C wants specific and timely feedback about their ideas, arguments, deliverables, and contribution. They like to know that they were right or be given a chance to get it right. They may not like a public thank you. Perfect! That’s exactly what I needed. Can you take a look at this and see if you spot any problems? The project turned out to be a great success, due in large part to your diligence and attention to detail. Thanks for coming with me to the networking event. Let me know if there was anyone you wanted to meet that I might know. I can make an introduction. Stuck for ideas on what to say? Lolly Daskal has a great list at 100 Ways You Can Express Love as a Leader. This has been an exercise for me. You can do the same for yourself or ask a group you’re training to practice writing a note to someone of a different style. I’d love to hear your reactions to my reflections. I’d also love to read about the best thank-you you’ve ever received in the workplace. A very good and simple way to illustrate how DISC can be applied to everyday’s situations and a food for thoughts for everyone. Thanks Kristeen !